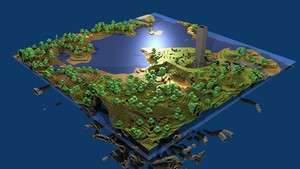 Minecraft is a creative mining game which revolves around a randomly generated map. Players can build large structures and spend literally countless hours playing the game because there is never an end in sight with Minecraft. The game is extremely addictive and fun. Beginning the journey in Minecraft is really all about exploring and mining things which give you the ability to build stuff. Minecraft 1.13.2 is a shareware program and can be used as a demo to try the software until the free trial period has ended. A full version of the program is available after the trial period ends. For security reasons, you should also check out the Minecraft download at LO4D.com which includes virus and malware tests. Additional screenshots of this application download may be available, too. Minecraft has a presence on social networks.